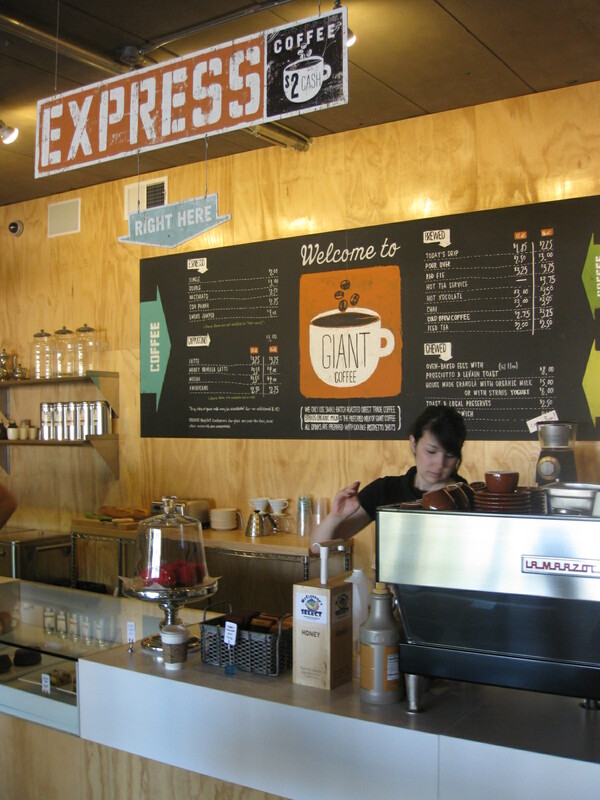 Tucked just slightly back from the bustling 7th Street and McDowell intersection in downtown Phoenix is a new coffee shop – Giant Coffee – that is already drawing the eye and the taste buds of locals in the know. It’s no surprise that it’s a success, considering it’s from restaurateurs Matt and Erenia Pool. You know them from Matt’s Big Breakfast and Roosevelt Tavern, and it’s obvious that Giant Coffee is going to be as big in their repertoire. Right away, it’s got that hip, urban but very cozy feel. 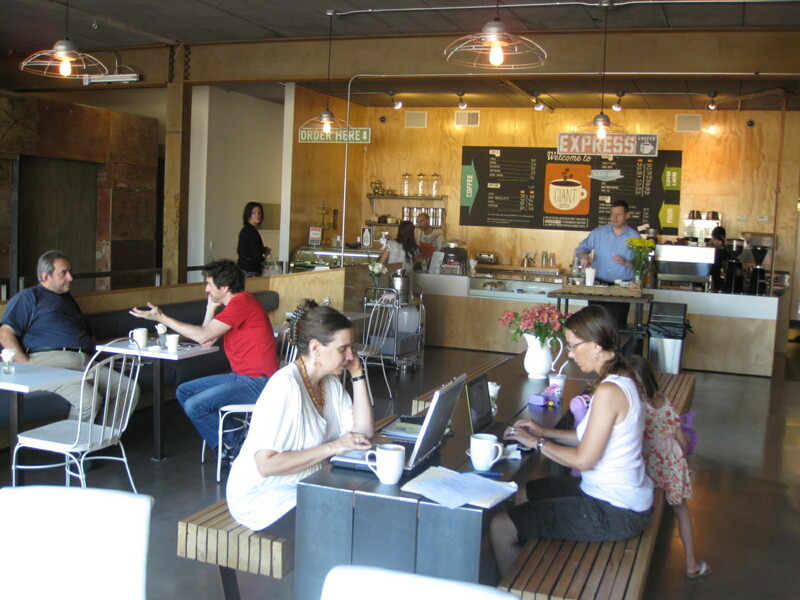 The long, communal table in the middle makes it feel open and friendly, instead of crowded and invasive like other places that try the same concept. But there’s also plenty of room for private conversations with tables lining the sides. Half the reason you go to a place like Giant is for the atmosphere, and this definitely pays off. Now to the grub: The coffee is delicious, more mild and less acidic than other places. Expect the usual offerings from the drink menu, but all are very well executed. Their specialty is their daily drip, from a single location, so you can taste beans from all over the world day-by-day. Their treats are also amazing. The blackberry-bran-honey muffin is incredibly delicious – and filling – and chock full of local ingredients. A couple notes: they neighbor Bunky Boutique in their new location, so stop by when you can visit both places. Also, Giant doesn’t take cards, only cash, so come prepared. It’s great to see a new place open with a totally different vibe, it’s worth checking out for your morning – or afternoon – or evening cup of Joe. This entry was posted in breakfast, coffee, downtown phoenix, Kelley. Bookmark the permalink.